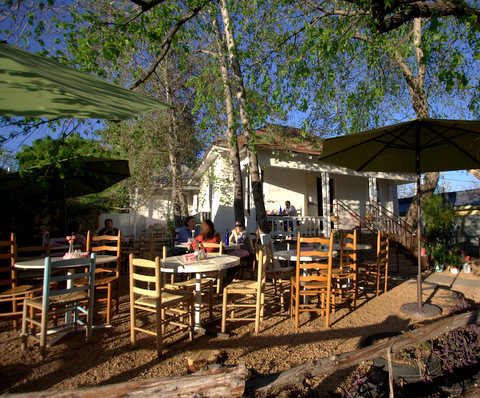 A friend of mine suggested I check out El Alma Cafe, a Mexican restaurant on Barton Springs Rd that opened this summer, replacing what was El Chile. My husband and I arrived around 7 pm on a Friday and the place was hopping. It is not very big, you are able to scan the entire restaurant from the front entrance and the tables are placed closely together. But this arrangement gives a feeling of intimacy and coziness and I like it. 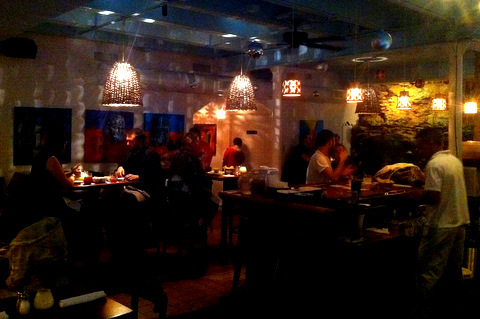 I absolutely love the colorful artwork on the walls and the lighting that illuminates the room makes the place sparkle. 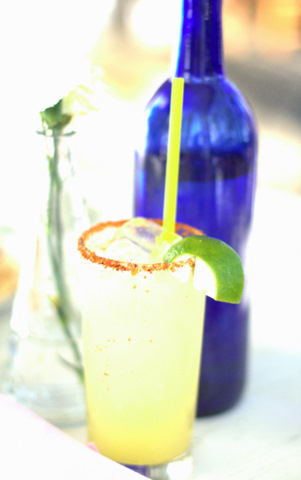 Happy hour runs Monday – Friday 3 to 7 pm and Saturday – Sunday 3 to 6 pm. Their drink specials consist of $2 Lone Stars, $3 Sangrias, $4 house margaritas and $5 margarita chilangas, which are a spicy, orange infused frozen margarita (yum). I was really hungry so I was mostly interested in what they had to offer in terms of food. The happy hour food deal is half priced appetizers and they have some great choices. 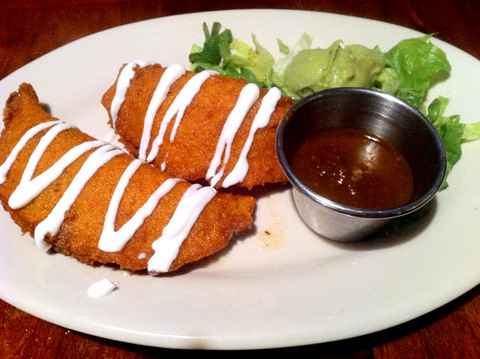 We tried the empanadas – crispy, deep fried, filled with mushroom and cheese and served with salsa and guac. Very tasty. We also ate the ceviche clasico, which are pieces of lime marinated black drum fish tossed with tomato, avocado, serrano peppers and red onion and served with thick tostada chips. 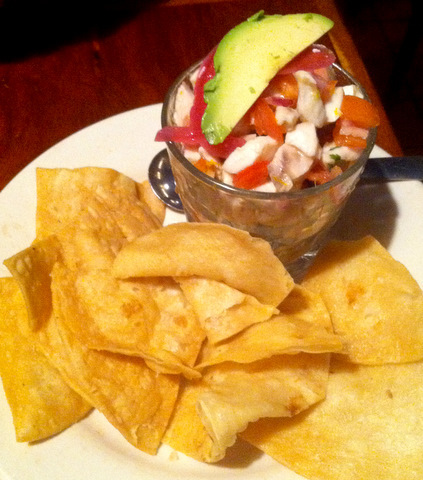 I love ceviche and will order it any chance I get – theirs did not disappoint. I was still hungry so decided to order an entree and boy am I glad I did. Sometimes it pays to ask the waiter what his favorite dish is and he did not steer me wrong. I love meat but the veggie verde enchiladas were so fantastic that I did not miss meat one bit. The veggie filling of poblanos, mushroom and spinach was so so flavorful and what really did it for me was the smokey yet sweet blanket of tomatillo sauce. I think I could drink that stuff! I consider enchiladas the gold standard for mexican food and these were the best vegetarian enchiladas I have ever had. Seriously. They are paired up with white rice and black beans for $10.95 and are worth every penny. 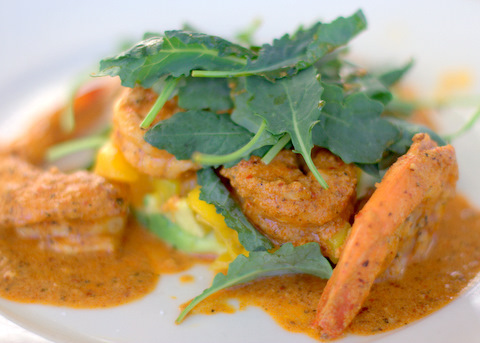 I found the quality of the food and the service of the staff to be excellent at El Alma. The appetizers, though good, are a little expensive if you aren’t able to take advantage of happy hour prices – full price is $7.95 to $9.95 and they are small. 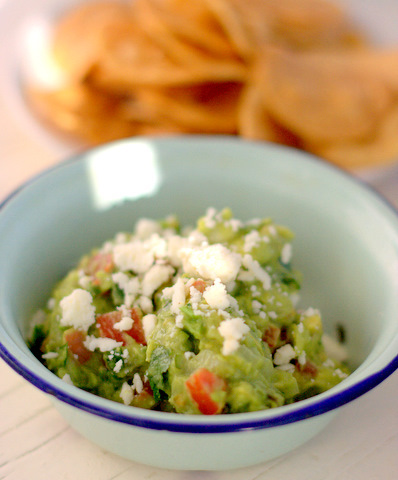 The main dishes, however, are reasonably priced – the enchilada plates are $9.95 to $12.95. They offer tacos a la carte of all sorts (I bet they are delicious) – $3.25 to $4 per taco. There are also more expensive plates on the menu, varying from $14.95 to $18.95, but considering the yumminess factor (that’s a real word, right?) of the enchiladas, I bet they are worth it. 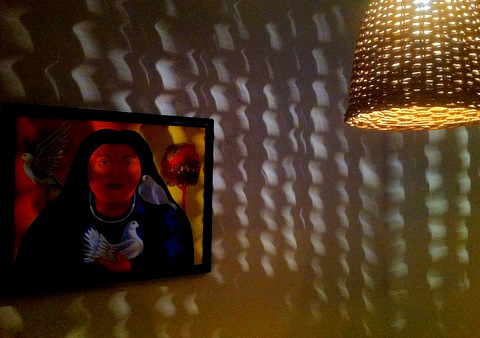 My vote – go to El Alma for the food. Go for the atmosphere. As far as for happy hour? If you’re a fan of margaritas, 4 to 5 bucks seems pretty good. If you like Lone Star beer, which I don’t, then you can’t beat 2 bucks for a beer (are they worth that?). The appetizers are good but small and if you have an appetite like me, then my guess is you’ll be ordering off the regular menu soon enough – and that is not a bad thing.